Gardeners are a modest and sober breed, not much given to the lust of the flesh, the lust of the eyes, or the pride of life. We are generally free of covetousness (save towards our neighbor’s early tomato), rage (unless a rabbit gets into our lettuce patch), or sloth (unless it’s raining outside and the bean patch needs to be weeded). We all have our weaknesses, however, and for most gardeners the moral Waterloo must be fought during seed catalog season. Seed catalogs, in short, are inveterate tempters. Seed catalogs arrive in the darkest part of winter, when the heart cries out for a sight of fresh vegetation. Into this parched landscape of the soul they introduce scintillating photography and descriptions of fruits and vegetables that may as well have been plucked from the vineyards of Canaan. Every heirloom tomato has better flavor than the last; each winter squash has the potential to grow to record size. Seed catalogs, in short, are inveterate tempters. No gardener, however ascetic, manages to resist their blandishments forever. Moral risk notwithstanding, anyone who hopes to grow the occasional vegetable ought to order a healthy selection of seed catalogs. My own annual list runs to a dozen or more. Large, conventional purveyors and specialty companies focused on heirloom and open pollinated varieties both have their place. Though many suppliers have gone online-only, alas, a sizeable number still print catalogs, which I prefer for comfortable and convenient reading. Reading seed catalogs is not just a consumerist pleasure—window-shopping for the dirty-booted. Seed catalogs also serve as invaluable educational resources for the studious gardener, repositories of folk knowledge not readily accessible even to the All-Seeing Eye of the Internet. Though many seed catalogs retain a rather 19th-century style of inflated, substance-free marketing copy, where every vegetable is the largest and most delicious, others can be excellent sources of botanical, ecological, and local knowledge. It is to such informative catalogs that we now turn. 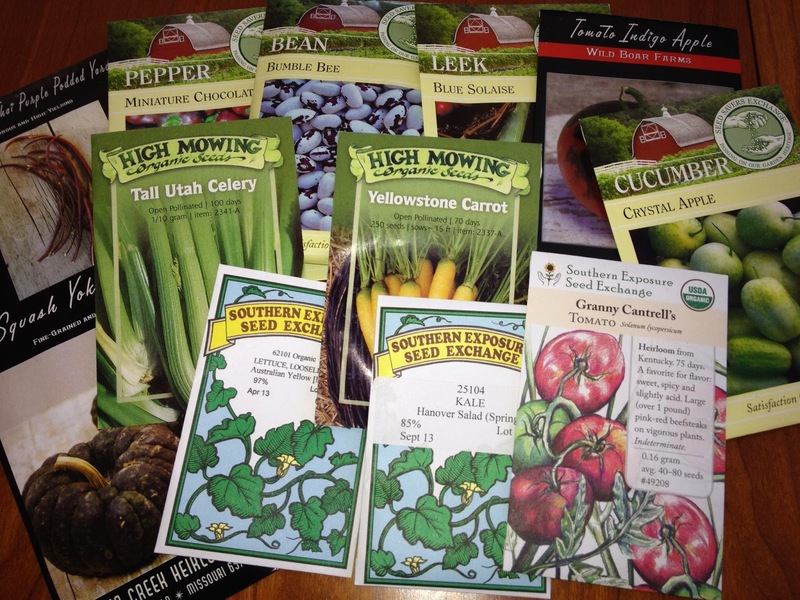 Gardeners who carefully peruse seed catalogs can garner information of a variety of types. First, and most straightforward, is simply knowledge of the breadth of varieties available. Such insight doesn’t merely empty the gardener’s wallet (through the purchase of ever-more varieties of, say, beans) but allows for creative ecological problem solving. The gardener can select a type particularly suited to a given environmental niche, such as a cold, wet area or a patch with increased pest pressure. For this purpose, Baker Creek (Mansfield, MO) offers one of the most extensive selections of the standard open-pollinated varieties as well as increasing numbers of unusual Asian vegetables. Though their catalog unfortunately retains something of the huckster style of catalog writing and offers botanical information only inconsistently, it is essential for the breadth of its selection. For gardeners ready to explore less familiar types, Adaptive Seeds (Sweet Home, OR) has the highest concentration of any catalog I know of varieties offered nowhere else, many of them exclusively bred for Adaptive, imported from overseas seed companies, or dehybridized from successful commercial varieties. Even better are those catalogs that provide detailed guidance on seed starting and saving and vegetable cultivation. These catalogs are virtually gardening books in their own right, though they also have seeds for sale. In this category, Southern Exposure Seed Exchange (Mineral, VA) reigns almost without challengers; they rightly term their catalog a “Garden Guide” as well as a seed source, as it provides careful information on how to grow anything they sell. Along the same lines, J.L Hudson (La Honda, CA) provides good seed-starting guidance and botanical names in an endearingly analog format (produced entirely without computers, as the catalog is careful to tell you), and Johnny’s (Winslow, ME) markets to professional growers with information tailored to the needs of those growing for market or in larger volumes. Seed catalogs provide local ecological knowledge not readily accessible by other means. Finally, and most critically, seed catalogs provide local ecological knowledge not readily accessible by other means. That is, most if not all smaller seed companies specialize in plants adapted to a particular region. Though of the catalogs I have listed only Southern Exposure makes this localization explicit, even those who sell more broadly reflect the conditions of their local climate in one manner or another. Seed companies largely produce their seed stock—if not on their own farms, then through a regional network of seed-cultivating farmers—and thus any given catalog is likely to offer mostly varieties adapted to the region in which the parent company is located. Moreover, since open-pollinated plant varieties contain genetic variation by definition, gardeners are likely to find the most success using seed stock sourced from their own region, the parent plants having been adapted to their regional conditions. Perusing a seed catalog from one’s own region thus puts the gardener in touch with local knowledge about what grows best and how, knowledge cultivated by the community of farmers and gardeners gathered around the noble institution of the seed company. If a society forgets or no longer cares where it lives, then anyone with the political power and the will to do so can manipulate the landscape. . . . The more superficial a society’s knowledge of the real dimensions of the land it occupies becomes, the more vulnerable the land is to exploitation. For Lopez, the informal knowledge of the landscape cultivated by traditional folk cultures, those living on the land, protects the land and its people from deception and tyranny. Geographical or ecological knowledge “is finally knowledge that calls up something in the land we recognize and respond to,” and is thus an essential means of knowing one’s place. Such knowledge leads to love, and that love leads to care. Reading seed catalogs puts us in touch with just this sort of folk knowledge: an awareness of the possibilities of the place via an understanding of what will grow here. As we learn about heirloom vegetables bred for our region—breeding undertaken not by professionals but by fellow gardeners—and learn about how best to grow them, we deepen our intimacy with both the human culture and the natural ecology of our place. Read seed catalogs, then, not just to slake a vegetative lust on a cold winter’s evening; read them because they “call up something in the land we recognize”; read them so that, when you put your hand to the soil, it will be with a wiser attentiveness. 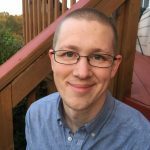 Matt Miller is a native Nebraskan living outside Reeds Spring, Missouri. 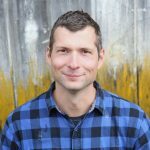 He teaches English at the College of the Ozarks and is working with his family to reforest a small patch of Ozark ridgetop with a food-producing perennial polyculture. Yep, you just knew there would be addendums. Sand Hill Preservation Center is a one-man/one-woman (Glenn and Linda) band of seed saving and poultry preservation. 85% of what is offered, they grow, save the seed, and offer it for sale in this annual catalog: https://www.sandhillpreservation.com/catalog-request. You have to pay $5 for the catalog (refundable with the order). But the catalog is delight with plenty of information on how the previous crop for each seed fared. They also have an enormous selection of sweet potato varieties available in slips (a hundred or more?). Well worth supporting by the gardener and small farmer. IT IS NOT TOO LATE! Yes, Brian! I haven’t gotten their catalog but I have perused the website with great pleasure! Thanks for this informative and timely essay. I enjoyed reading it. 1. Has anyone else had problems with mislabeled or faultily packaged seeds? For example, I’ve had pole beans come up in a row of bush beans, and some pepper seeds that were supposed to be Gypsy Hybrid produced a mysterious bell pepper. 2. After twenty-five years of gardening, I’ve encountered this problem just in the last two or three years. Have we entered a new age of carelessness and unreliability among seed companies? Is it time to ditch the big companies, and buy only from the small, local, righteous producers? I’ve had issues in the past four years, though not the specific one you mention. Unfortunately, it was seeds I’d ordered from territorial and especially Fedco that did so poorly that I am certain more was going on than just my limited gardening skills – root vegetables grown in the same bed had a crazy amount of variability despite uniform conditions, etc. I have since been only ordering from Johnny’s, which is a shame. Johnny’s is a good company so far as I can tell, and their seeds almost always do well, but there’s definitely less of a sense that there might be a superlative heirloom tucked somewhere in the pages of their catalogue, just waiting to be discovered. So I definitely have less of the magic described in this essay, though I do have more carrots. Thanks for the report, Garth! I’ve done okay with Johnny’s too–I just don’t like having to get all my seeds by mail. I’ve been getting my seeds from Peaceful Valley, but Matt’s essay prodded me to do some research into local seed companies, and I’ve found two nearby that have promising catalogs. Also, my farmer brother tells me I need to add minerals to my garden, so I’m incorporating some into my soil this year. I’m eager to see if this produces any perceptible differences. Yes, minerals make a big difference. Getting a soil sample is probably worth doing in the long term, and it’s fun on the scale of a garden since you can correct most any deficiency without breaking the bank, which is not always the case with larger area. But if you don’t feel like going that route I recommend looking up the recipe for Steve Solomon’s Complete Organic fertilizer. Some people sell it premixed, but it’s easy and much cheaper to blend your own. It incorporates minerals at a rate that will help most any garden. I just ordered a mix of that to try out. If it works, I might invest in the ingredients and mix my own in future years. But apparently my brother didn’t steer me wrong when he recommended Steve Solomon’s work. Are there any regional seed companies out of New England? I hope to be establishing a garden in New Hampshire next year, and some local varieties of vegetables would be most welcome.